Platelet rich plasma is plasma rich with growth factors. It is used to treat hair loss, facial rejuvenation, and wound healing. It is collected by drawing the patient’s blood in the office and placing it in a centrifuge to separate the platelet rich plasma. The growth factors help to reduce inflammation and improve blood flow to the site. It can be injected to the scalp to promote hair growth and into the face to improve fine lines. PRP is a perfect addition to microneedling, known as the “Vampire Facial”. 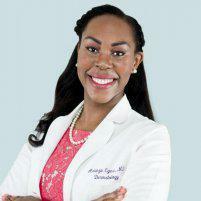 At Humble Dermatology in Humble, Texas, board-certified dermatologist Adaeze Egesi, MD, delivers PRP therapy to restore facial volume, smooth out lines, or help you regrow hair. Book your appointment through the online tool or call the office anytime to schedule your PRP treatment. Platelet Rich Plasma is plasma rich with growth factors. It is used to treat hair loss, facial rejuvenation, and wound healing. It is collected by drawing the patient’s blood in the office and placing it in a centrifuge to separate the platelet rich plasma. The growth factors help to reduce inflammation and improve blood flow to the site. It can be injected to the scalp to promote hair growth and into the face to improve fine lines. PRP is a perfect addition to microneedling, known as the “Vampire Facial”. PRP is a specific component of blood. Your blood contains platelets with growth factors that can prompt new cell growth, generate fresh collagen production, and even rejuvenate dormant hair follicles. The only problem is that those platelets are a very small part of your blood, and you can’t control their placement. Fortunately, with PRP therapy, Dr. Egesi injects your own PRP in the places where you need it. How does PRP therapy work? PRP therapy starts with a blood draw. The process is simple and takes only a few minutes. Dr. Egesi inserts your blood in a centrifuge, which spins it at high speed until the PRP separates from other blood components. Dr. Egesi draws the PRP into a syringe and then injects it where you need it. If you need more volume in your face to smooth away lines or wrinkles, Dr. Egesi injects it below the skin. Often, Dr. Egesi uses the MDPen™ for facial PRP treatments. The MDPen is a Collagen Pin device that makes tiny controlled punctures in your skin, which allows for the PRP to work its way into the area where it can start collagen production. If you need hair restoration, Dr. Egesi injects the PRP into your scalp where your hair is thinning. Dr. Egesi sometimes uses MDPen Collagen Pin for PRP hair loss treatment, depending on your needs. How many PRP sessions do I need? Each patient is different, but in most cases, a series of PRP therapy sessions allows optimal benefit. For hair loss, most patients have three treatments, each spaced about two weeks apart. Then, you’ll usually just need maintenance treatments around 2-3 times yearly to maintain your new hair growth. With PRP treatments for the face, the same frequency is typical. Usually, three treatments over a six-week period. Once you’ve got your great results, you’ll have maintenance treatments a few times per year. What is recovery after PRP therapy like? One of the best things about PRP therapy is that there’s no recovery period required. Unlike surgical procedures, you don’t need any downtime at all other than following a few simple guidelines after each treatment. Dr. Egesi advises you about any specific recovery rules, like not scrubbing your face or scalp for a few days post-treatment. 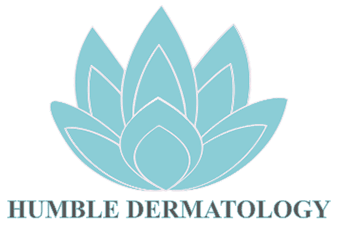 Book your PRP appointment at Humble Dermatology through the online tool or by phone now.